Nigeria has emerged as the shining star in MTN’s latest set of results, overtaking SA as the largest contributor to the company’s revenue in the six months to June. At the same time, the operations in Nigeria, which were considered by many investors and analysts to be a risky gamble when the group entered that country in 2001 made an earnings contribution (before interest, tax, depreciation and amortisation, or Ebitda) of double SA — R10,9bn next to SA’s R5bn. The Ebitda margin in Nigeria is equally impressive, coming in at 61%. By comparison, rival Zain’s Nigerian business reported an Ebitda margin of 35% in its March quarter. Even in an industry known for high Ebitda margins, any figure above 60% is considered spectacular. MTN Group president and CEO Phuthuma Nhleko says the strong performance in Nigeria has been driven by the company’s strategy of continuing to invest heavily in infrastructure. Over the past six months the company has spent R5,7bn in on capital equipment in Nigeria, far exceeding the R3bn it spent in SA in the same period. Nhleko says this is likely to be the peak of the company’s capital expenditure in its Nigerian operation, in contrast to other competitors in the Nigerian market, which have already scaled back their investments. In a country where the reliability of infrastructure has always been a key issue for operators, the additional investment in infrastructure has translated into higher subscriber numbers and increased market share. In the six months to June, the Nigerian operation increased its subscriber numbers from 23m to 27m. The company’s market share in the country rose from 44% to 48%. This increase in market share comes at a time when the Nigerian market is continuing to grow and the level of competition in the country is increasing. The country has three operators vying for dominance in the GSM space, MTN (44% in the March quarter), Zain (23%) and Glo Mobile (24%) and three operators using CDMA technology, Visafone (3,5%), Starcomms (2%) and Multi-Links (3%). Incumbent operator Nitel and its mobile arm M-Tel do not feature in the market, but with the Nigerian government working hard to find a new investor for the beleaguered operator it may yet emerge as a market force. With market penetration remaining relatively low at 39%, and MTN estimating that there is a potential for the market to grow to 107m subscribers by 2013, even if MTN retains its current share it would be able to more than double subscriber numbers over the next four years. This growth has come at a price, though, with average revenue per user (Arpu) continuing to decline both in local currency and rand and dollar terms. 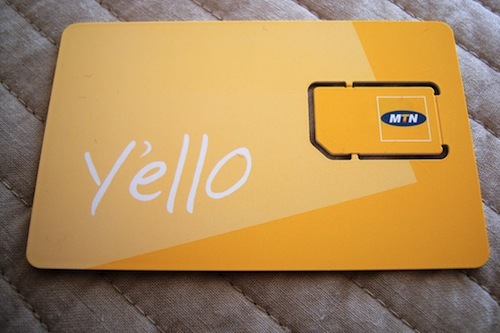 This decline is to be expected and will continue as MTN attracts lower value customers to its offerings. MTN has, however, managed to keep its Arpu significantly higher than other Nigerian operators. In the first quarter of 2009, Zain’s Arpu was US$$7 per subscriber while MTN’s first-half 2009 Arpu was $12. As has been demonstrated elsewhere in Africa — for example, the continued dominance of the Kenyan market by Safaricom — once an operator has established a hold on the market leadership position it is difficult to unseat it.